DEAL have pulled out of another case, this time in Bath. The Prankster can confirm that this time Ashley Cohen did get the claimant right and that it was DEAL who filed the claim. The rest of the claim was of course a flight of fancy - unless you can claim for 100% of a debt when only 87/5% has been assigned to you*. *not to mention the dozen or so other problems common with CEL claims. DEAL? Er, no DEAL. Er, these are not the droids you are looking for. 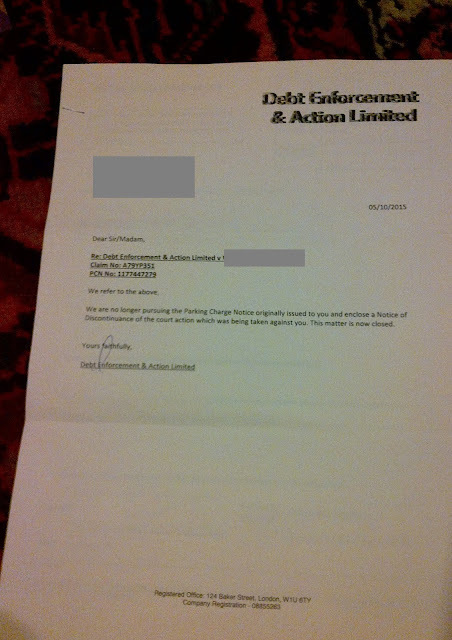 Ashley Cohen failed an impersonation of Obi Wan Kenobi when he sent a notice of discontinuation from DEAL to a motorist, which arrived in the post on Thursday. However, DEAL had never taken the motorist to court - Civil Enforcement Limited had. And anyway the case was done and dusted as CEL never up turned to the hearing almost a year ago in November 2014. While sending fake court papers is an offence, The Prankster is unsure of the status of sending fake discontinuation notices. Obviously CEL are limbering up their legal brains for the criminal case in Aberdeen early next year. It seems preparations are going well. 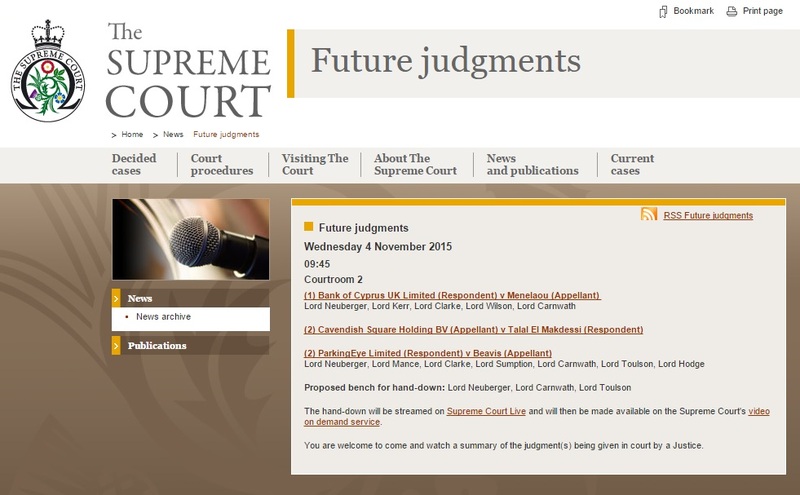 The hand-down can be watched live or later on demand, and a PDF can be downloaded from the Supreme Court web site. Both parties counsels will already know the verdict, but are barred from telling anyone. A vigilant observer in Chorley may be able to guess the answer depending on whether the pubs run dry, or whether or not a number of boastful posts appear on parking forums, as happened after the Court of Appeal verdict. Although a large number of people are hoping the judgment will add clarity to whether arbitrary penalties will henceforth be allowed in law, this was also hoped for in the Court of Appeal verdict - as everyone knows, this did not happen. Steven Duff of Proserve recently took the DVLA to a judicial review, hoping to be able to get keeper details without joining an ATA. Assuming his turnover is less than £250k, this would have saved him fees of £6000 odd for the BPA or £4000 odd for the IPC. ...£25,000 of DVLA costs and an estimated £10k of his own costs. This is around 6 years of BPA membership or 9 years of IPC membership. It looks like the gamble did not pay off. DEAL have pulled out of yet another claim, this time in Aberystwyth. "We are no longer pursuing the Parking Charge Notice issued to you and enclose a Notice of Discontinuance of the court action which was being taken against you. The matter is now closed." No reason for the discontinuance was given. However DEAL are known to fold when the defence raises issues they would probably rather not be put in front of a judge. The Prankster has received a number of reports of Smart Parking issuing bogus tickets when no contravention has actually occurred. Many of these are from Perth in Scotland, and googling 'Smart Parking Perth complaints' produces a number of newspaper articles on this issue. Local MP Pete Wishart has labelled Smart Parking "a cowboy company” after he has been inundated with complaints about it from some constituents. The Prankster can reveal the problem is not confined to Perth. 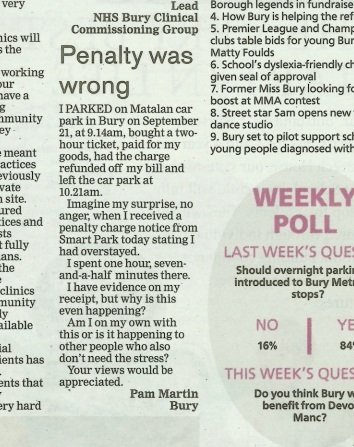 Here is a report from the Bury Times letter page of 8th October. The Prankster has been informed that Matalan Bury does not have ANPR, which means the ticket will have likely been issued via a warden using a smartphone. UK Parking Control wardens have been recently found to be forging timestamps on their smartphones so it is not beyond the bounds of possibility for the same problem to occur with other parking companies. If you have been issued a windscreen ticket by Smart Parking, or any other parking company, and you believe the times are not correct and that evidence has been forged, please contact The Prankster at prankster@parking-prankster.com, so that the matter can be investigated. Should Teachers be treated the same as public servants with regard to parking? Although this blog is usually about private parking, here is an opinion piece from a teacher regarding public parking. I am writing to you to ask for your help in promoting our campaign. I am a teacher at the Winns Primary School in Waltham Forest, East London. At the beginning of term we discovered that the Borough was introducing a CPZ in the area surrounding our school. At present, we have a large number of staff who have to drive to work, as they live in Essex, Herts or other outlying Boroughs of London, where public transport links are not as clear cut and accessible as those in and out of the City. Other staff have to drop their own children off before coming to work, and so public transport would be an impossibility for many of us to ensure we arrive on time every day, and leave home at reasonable times. It is often not possible, especially for support staff on low wages, to afford the cost of living within the greater London area. Making the problem worse, is the fact that Waltham Forest does not receive Inner London Funding for its schools and school staff – most other surrounding Boroughs (Hackney, Haringey, Newham, even Barking and Dagenham) all do. We are already at a huge disadvantage. Unfortunately, the Borough have been typically stubborn over this matter. They are insisting that we should be treated as a business, and so for us to receive permits we would be charged a business rate of up to £590 for every subsequent permit after the first two. We are unique in the Borough in that we don’t have any kind of on-site car park, which other schools do, owing mainly to the fact that we expanded the school at the Borough’s request a few years ago. Also, there is another school in the Borough (Barclay) who are being granted £170 permits to park in the CPZ around them, as they are an Academy (we are still a normal Community school). It seems to me that when two institutions providing the same service, in the same Borough, with the same taxpayer’s money, are being treated so differently, it is grossly unfair. I feel it is important to point out that we are not asking for free parking (some have labelled us as thinking we are special, because of this misunderstanding! ), but more that we are brought in line with others in the Borough, and that we are treated as the public servants that we are, rather than a business. Teachers from another local school get permits for £170 a year. This would seem a fair amount to pay - it does not appear logical that teachers in different schools should be treated differently. [Update] It appears the Borough may agree and a Cabinet Minister has now stated a new charge for school staff will be introduced into the permit system at around £200. This has not yet been confirmed in writing and no information on how this would work in practice has been provided yet. In a test to see whether various parking companies actually check the tickets they issue, one motorist successfully managed to get an operator to issue a ticket to a shopping trolley. Other operators are either more discerning, or perhaps have already whitelisted the motorist's number plate due to previous similar attempts. 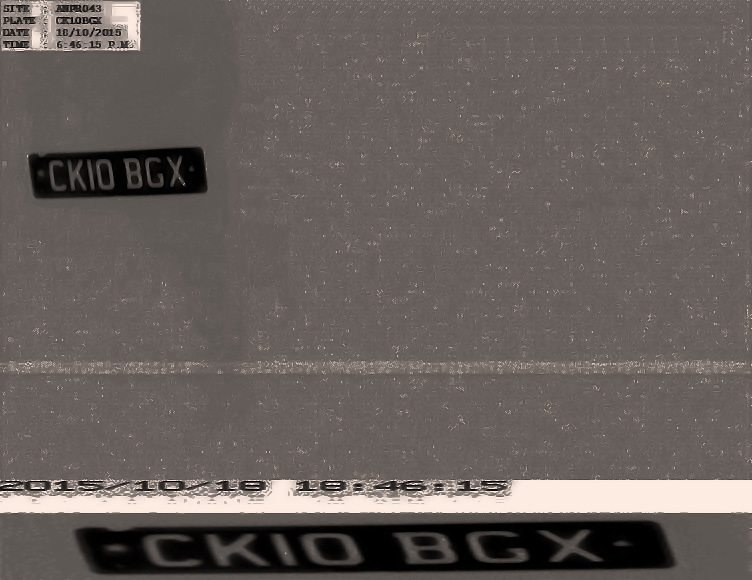 Although the pictures are dark, it is clear there is a car behind the left hand image but nothing behind the right hand image. This is because the right hand image is a shopping trolley. A bit of enhancement with photoshop shows the image of the trolley more clearly. B2.3. Before making each request for Data, the Customer shall gather evidence to demonstrate that it has Reasonable Cause to request that Data. This evidence may include scans, images, photographs, correspondence and any other evidence that the Customer may rely on to show its compliance with the requirements of this Contract and of the relevant Accredited Trade Association’s Code of Practice. Obviously if the photographs show a car entering and a shopping trolley exiting then there is not reasonable cause to request the data. Following the earlier post POPLA have confirmed that this message is a teething problem with the new system, and is on the list to be corrected. Essentially this message means that the operator has not provided an evidence pack and the motorist will therefore eventually win the appeal. Cases are dealt with in chronological order, so this will happen once the case gets to the top of the pile. The motorist involved is therefore a happy bunny, apart from having to go through the rigmarole of a POPLA appeal when the operator clearly thought there was no point in contesting it. Three drivers, all strangers to the area received £100 UKPC parking charge notices in July for parking in a Hampshire road named Damson Drive which leads to a housing estate like many others in the area. The distorted UKPC “evidence” photograph showed no evidence whatsoever of wrongful parking or that it was any business of UKPC. It showed the road and houses in the distance, but no houses where the cars were parked and no UKPC signs in this road (there aren’t any). Damson drive is signed as a local authority public highway the same as all the other roads nearby. There is no entry sign to show that Damson Drive is private land (and UKPC has produced no evidence to show that it is). 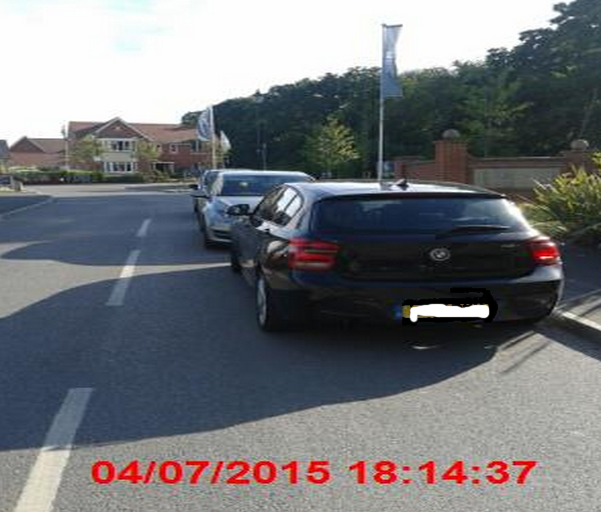 There are no UKPC signs or any parking restrictions signs whatsoever in Damson Drive where the cars were parked. The parking charge notices impertinently and dishonestly alleged that these drivers agreed to the imaginary terms and conditions of parking ‘clearly and prominently displayed’. Purporting to be evidence of the imaginary parking violation the Parking Attendant provided a photograph which he later took of a hardly-readable UKPC sign located somewhere else near some houses – so therefore not where the cars were parked. UKPC knows they have not installed signs of any kind in Damson Drive where the cars were parked and the Parking Attendant knows that otherwise he wouldn’t have issued a fallacious parking charge notice and then provided bogus evidence of signs he alleged to have been contravened by the drivers. 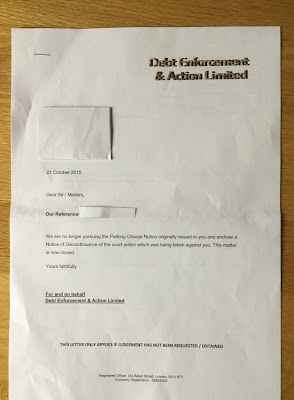 UKPC refused to cancel their parking charge notices and repeated the false allegations and their demands for money so two of the affected drivers have now filed Crime Reports for investigation by the National Fraud Intelligence Bureau. UKPC and the Parking Attendant are both cited as the perpetrators. 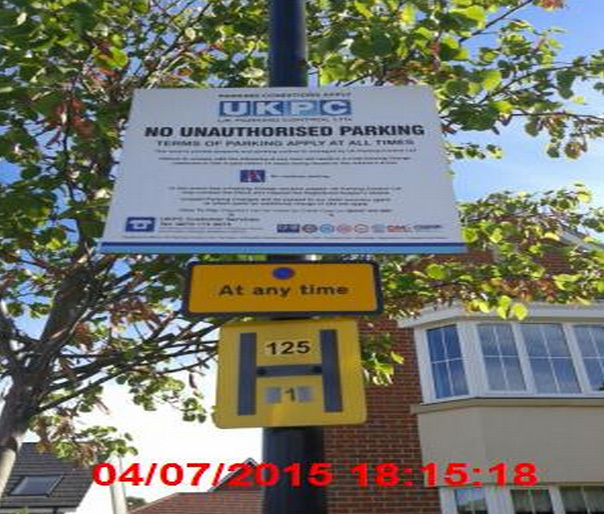 UK Parking Control are well known for issuing tickets on land which they later fail to prove they have authority for. Large numbers of POPLA appeals are won because UK PC fail to prove they had authority to issue tickets. However issuing tickets where there is obviously no signage, and then failing to cancel on appeal is clearly the kind of fraudulent activity which sends the parking industry into disrepute.and gives all parking companies a bad name. The Prankster suggests that UK PC should join the IPC, where a generally lower standard of operator behaviour is required for charges to be regarded as enforceable - the IPC appeals system does not require parking companies to prove they have authority, and does not require entrance signage or signage to be in the proximity of the parked vehicle. However they will need to join before they get any more sanction points as banned operators remain banned even if they change ATA. [Update 26/10/2015] This newspaper article clearly shows other drivers have also been ticketed, and that POPLA have ruled UK PC have not shown they have authority to issue tickets in that location. The new POPLA is still having a few teething problems. Hopefully they will be ironed out soon. 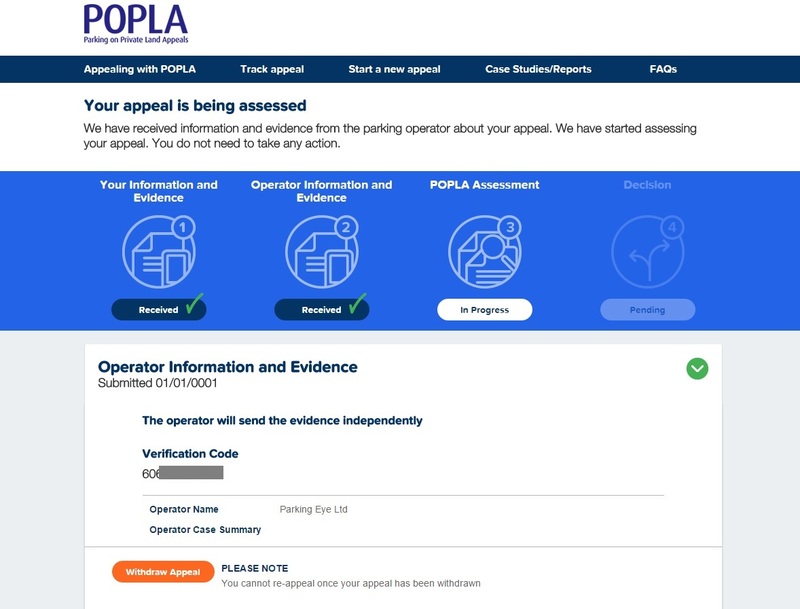 However, no evidence pack has been received from ParkingEye and no email has been received from POPLA stating that the evidence has been received. Apparently they received it on 01/01/0001. Perhaps this means that ParkingEye have decided not to contest the case and have filed no evidence. Or perhaps ParkingEye got hold of a DeLorean and flew back in time to 01/01/0001 where they chipped out a 150 page epic in stone and left it for POPLA to find. Only time will tell which if these is correct, or if there is a third answer. 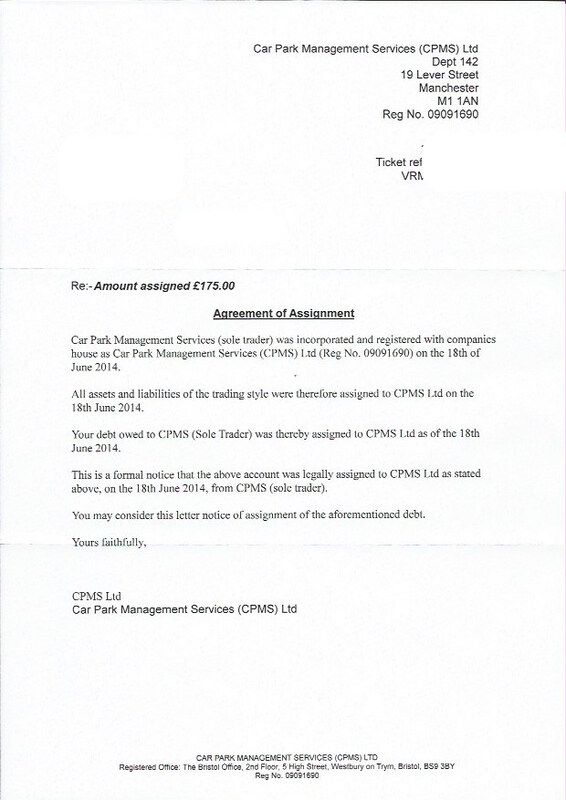 ParkingEye yet again issued a parking charge for a car which was not in the car park for the times they claimed. This is such a frequent occurrence that it cannot be explained away by errors in the system. Quite simply, the technology they are using is not fit for purpose and should be shelved until fail-safes are put in the system. In this latest debacle, a ticket was issued to a driver who visited Costa Coffee Hindpool in the morning. The motorist works as a personal care assistant so drove to various appointments, as his worksheet and mileage log confirms. He then visited Costa again for a second coffee. ParkingEye duly issued a charge for a 6 hour stay even though the driver actually visited twice. In any other industry, companies who repeatedly issue bogus invoices with would be censured and forced to mend their ways, if not actively prosecuted for fraud for wilfully operating a system they know does not work. However, ParkingEye are "too big to fail". The DVLA dare not take action because they generate so much income it would put senior executive performance related pay at risk, and the BPA dare not take action because ParkingEye would up sticks and move to the IPC. In this particular case the motorist complained to the local Costa and left a post on their facebook page. They said they could not help. The motorist then contacted the CEO of the UK Costa chain, Tom Gower. Mr Gower correctly required ParkingEye to cancel the charge. 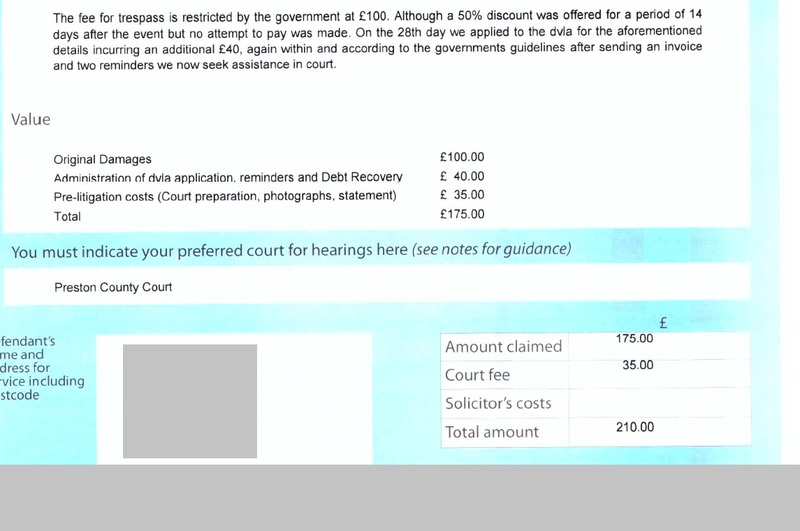 This is usually the best way to get these fraudulent invoices cancelled - ParkingEye usually refuse to cancel if you contact them directly* and have taken many motorists to court when in fact it was their own equipment which failed. 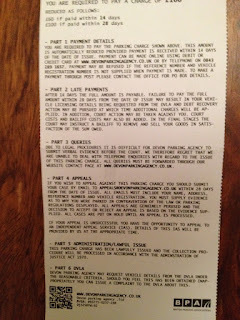 Sadly ParkingEye's irresponsible actions can have great effect - The Prankster has been contacted by people who have trouble buying a house because of bogus invoices like this; ParkingEye often write to the wrong address and will try and file a court claim and obtain a CCJ before attempting to find the correct address. The motorist left another post on the Costa Facebook page thanking Tom Gower. Currently the motorist is still waiting for confirmation from ParkingEye that the charge is cancelled, although he has seen an email from ParkingEye to Mr Gower confirming this. 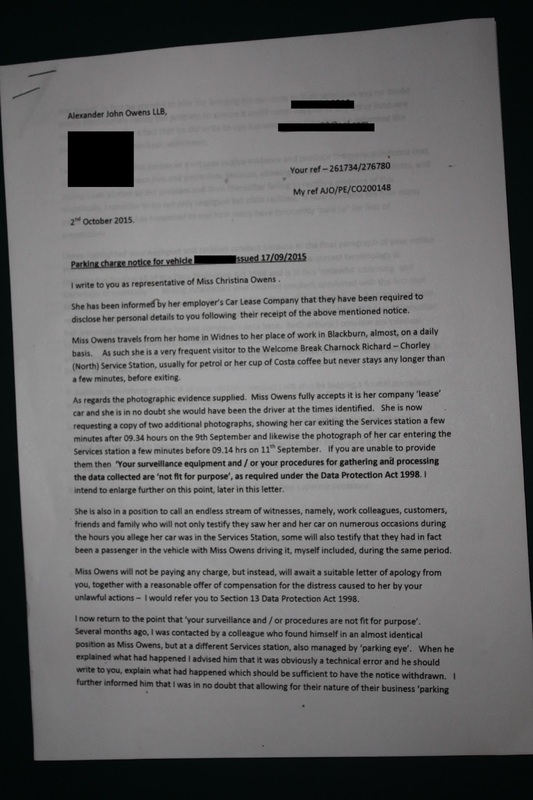 The motorist could also consider making a complaint to the ICO, as Alexander Owens did. ParkingEye are negligent and reckless to keep asking for keeper data when they know their systems are flawed. *despite this, best advice is still to appeal to ParkingEye, and then to use POPLA to get the charge cancelled. POPLA are well aware of ParkingEye's failures in this area. MIL Collections failed so badly last week in court that they did not dare to show up this week. This thread on pepipoo details the full story. MIL Collections have a shady reputation and a quick google search turns up many horror stories about their behaviour. It is clear that they do not follow the old "OFT Debt Collection guidelines", which means they are not a suitable company for parking companies to sell debts to, or in fact provide any keeper details to whatsoever. The Prankster has therefore asked the DVLA for clarification. 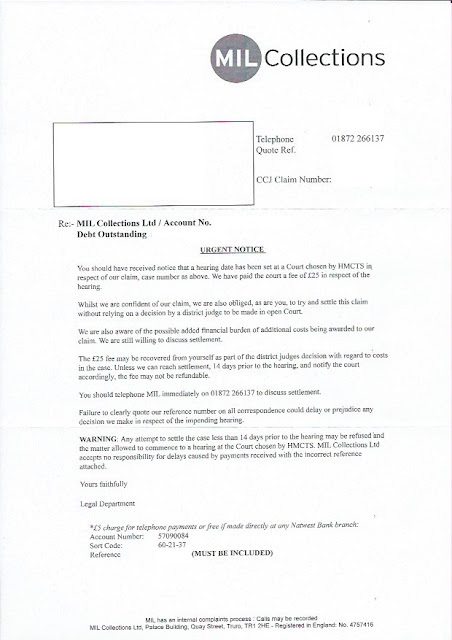 MIL Collections crashed and burned in their first recorded court hearing; MIL Collections Ltd v The 'bigdoubleyou', claim number B3QZ98K3. They first appeared on the radar around May 2015, having apparently bought up a lot of parking related debt from some of the dodgier parking companies (clue, the fact that these 'debts' were not paid might mean they never existed). 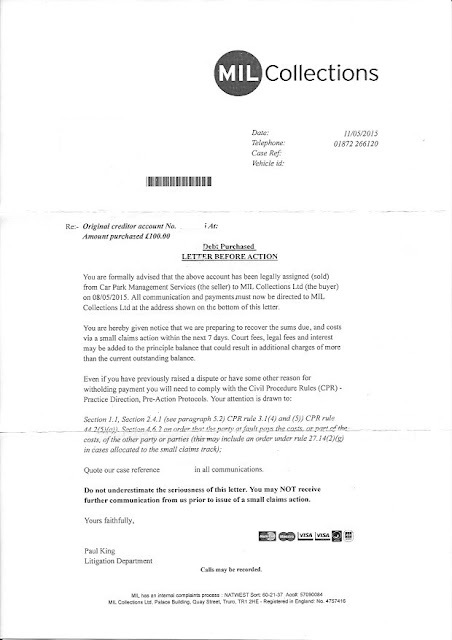 Although MIL sent out letters purporting to have purchased the debt from another company, this may not have been entirely valid - the company stated did not exist at the time the parking charge was issued. 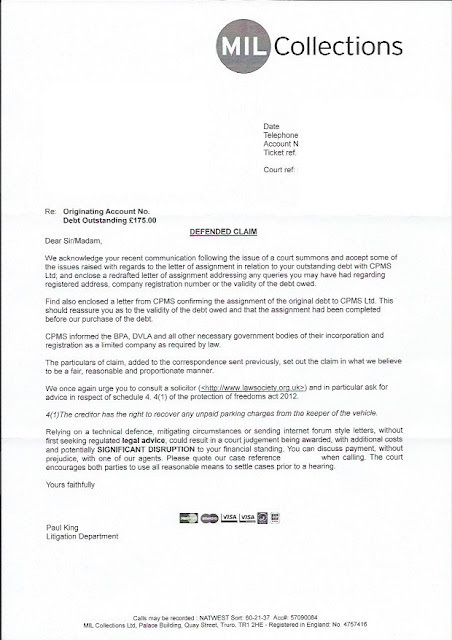 The letters were extremely aggressive, and in the same envelope was a letter before action stating legal action would commence if the matter was not resolved in 7 days. This is against practice directions. The motorist replied, querying the legitimacy of the debt assignment. MIL ignored this, and filed a court claim. The motorist filed a defence. MIL sent some more letters with backdated notices of assignment. Although this is not valid, they apparently were still worthless anyway. They also contained errors which made it appeal the letters were really written by MIL and not the operator. MIL then sent an offer of settlement, but this was at the same amount as the original claim and so not particularly appealing, considering the motorist thought they owed £0. I recently went to the Civil Court in this claim, and despite what it said on their paperwork, I was greeted by the 'barrister' representing MIL. I hadn't received any form of pack from MIL prior to the hearing, just a brief challenge of the main points I'd made in my defence, putting their breaches of all of the relevant legislation down to "minor errors" that shouldn't defer from the fact I owed a debt. So at that stage I was not particularly confident that I was going to win if I'm honest. We went into court, and the Judge just unleashed a raft of questions to their barrister that he simply couldn't answer. MIL Collections sent a letter rather than attending. The letter had no supporting documents, it wasn't a statement of truth, and it carried no weight whatsoever. The letter even had the audacity to instruct the judge to adjourn if she wasn't happy with its format, at no cost to them it said, so that they may get any evidence she required. The Judge tied the barrister up in knots, to the extent that I even began to feel sorry for him for a second!! She concluded by using my defence statement, (which, as instructed here and in the Parking Pranksters guide, I had neatly typed out in numbered paragraphs, with the evidence behind a divider, all in a folder for ease) to show the barrister that this was what she had expected from his client, and that in my defence pack I'd denied the debt. As a result, she wanted evidence of the debt from the Claimant, MIL, however, they hadn't presented any, and so as a result, she could do nothing other than dismiss the case in its entirety, and that was the final decision. I literally hadn't even spoken once up to that point, until the Judge asked me if it was okay for the case to be dismissed! The motorist took along a list of costs, which were awarded by the judge. Relying on a technical defence, mitigating circumstances or sending internet forum style letters without first seeking regulated legal advice could result in a court judgment being awarded with additional costs and potentially SIGNIFICANT DISRUPTION to your financial standing. This doe not, on reflection, appear to have been very good advice. The Prankster suggests MIL get Gladstones Solicitors to help them next time. Based on Gladstone's known record, they still probably won't win, but at least someone involved in parking will make a profit. The POPLA contract has been made available through an FoI request. Here is the first page. The contract appears to be between the British Parking Association and London Councils Transport and Environment Committee. The Prankster has been informed that a committee is not a legal entity which can enter into a contract. If this is correct, then no contract actually exists. Obviously this will further muddy the waters. ANPR Ltd are back in court in Preston tomorrow. This time there are only three cases listed. The Prankster does not know about any of these cases or whether the contracts are valid or photocopied cut and paste jobs like last time. He also has no idea whether the amounts claimed are made up like last time or real amounts. The Prankster is also unsure whether Expedion sent fake court papers in these cases or whether the sites had signage in place and if so unlike last time whether the signs bear any relevance to the evidence filed. The Prankster also does not know if the defendants were the drivers. If not then there is no case to answer as ANPR Ltd make no attempt to comply with keeper liability conditions. The Prankster wonders if ANPR Ltd have stated on the particulars of claim that keeper liability applies even though they know it does not. Gladstones continued their winning court streak by charging London Parking Solutions to file a claim and prepare a witness statement. Their client was not so lucky. They failed to turn up at the hearing and the claim was struck out. The Prankster considers they would have been up against it trying to explain why they were charging for an overstay when the motorist paid for 6 hours and stayed 3. Gladstones apparently not willing to let maths get in the way of a good money making opportunity, were more than happy to take their client all the way to a hearing. LPS appear to have got cold feet at the last moment. Of the cases on the day, the first was dismissed for lack of evidence, the second ANPR won and were awarded £27. Apparently Trevor and his lawyer then came out saying 'Right, who's next?' making out they had a big win. The third case had already offered to pay the ridiculously inflated charge but ANPR Ltd would not accept that. 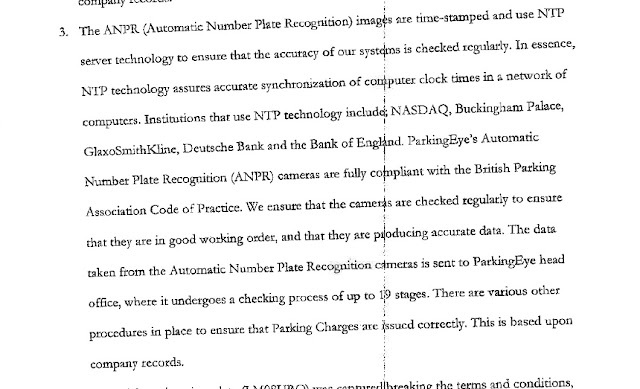 Apparently ANPR Ltd won this case too, but the court more than halved the charge. The next case involved a yound girl. This was dismissed but the reason is not known. The consumeractiongroup case was next. 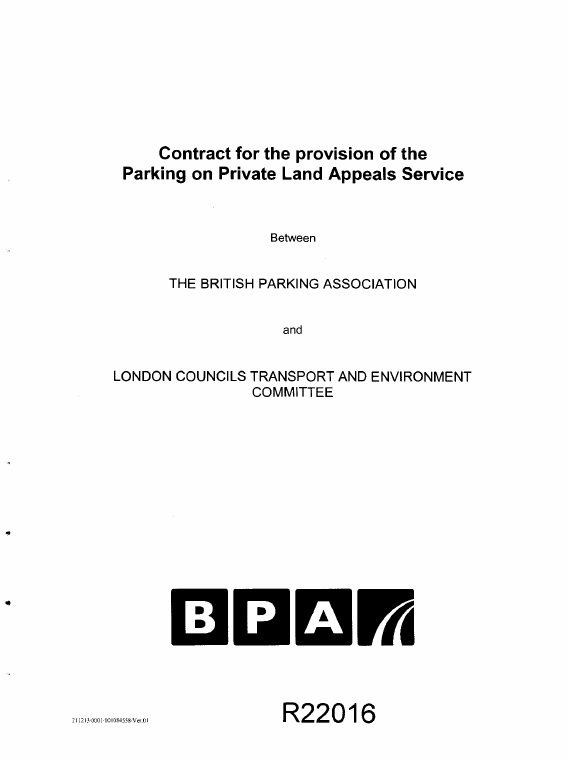 The judge ruled the tenancy agreement giving the right to park trumped ANPR's permit and the case was dismissed, with costs to the motorist. The last case may have run out of time and may have been adjourned. The consumeractiongroup case concerned a resident parking outside their own home. They had a permit but forgot to transfer it their new car they day they got it. The warden at the site is usually good with resident's cars but on this occasion as it was a new car he did not know the car was a resident's. The letting agents are also fairly lax with issuing permits which can be over a month late. The motorist appealed to ANPR Ltd who refused to cancel it. They further appealed to POPLA but were late appealing. ANPR followed up with an Expedion letter and then a court claim.for £390. Trev said I only started to argue about the permit system after the incident - this I found a very bizarre comment?? Failed to listen to what the judge was telling them. After my counter claim they made out they had tried the resolve the issue and I had become abusive and slammed the phone down on them. At this point I actually started laughing and asked the judge if I could give the real account of that conversation. They asked me for £210 the day before they had to pay the court fee. To which I responded no thank you. I will go to court instead. 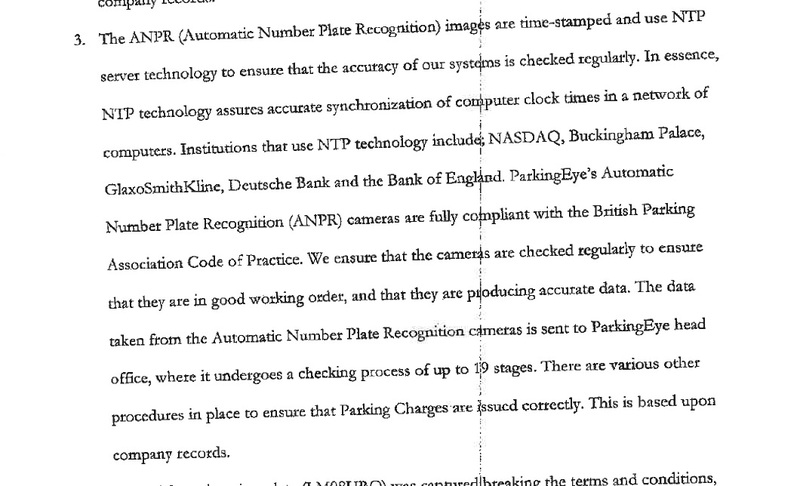 The Prankster has seen similar letter chains in other ANPR Ltd cases. The amounts owed vary from letter to letter with no apparent connection to previous or subsequent letters. 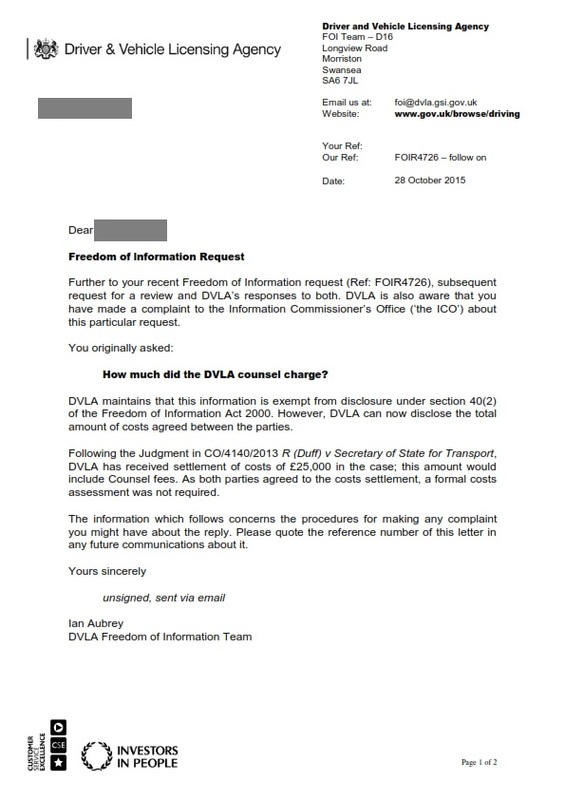 All of these appear to be made up figures, but it is especially worth noting that DVLA data costs £2.50, not £40, that the claim did not go to POPLA, and £100 seems a little steep for sending a template letter. It is perhaps worthwhile following the costs through in a typical case. The charge started with a notice to driver at £100, discounted to £50. The driver then appealed, which was turned down with no POPLA code being issued. Later on, the keeper got a Notice to Keeper for £100. This is surprising as there is of course no keeper liability if ANPR know the name and address of the driver. The NTK asks for £100, which will further increase if not paid for £40 for DVLA costs/invoice production/correspondence, £70 for pre-action costs and £135 for a Judgement Enforcement Officer visit, per visit, per hour. The DVLA charge is interesting, as the data has already been received from the DVLA - there is no need to contact them twice. Pre-action costs are not reclaimable in the small claim court. A high court enforcement officer can only be used for county court claims over £600. Their fees are explained here but appear to be either less than or more than £135. At this point it is worth noting that the original £100 is broken down as follows by ANPR Ltd in POPLA cases. It does seem that the DVLA fees are variable, sometimes costing £40 and sometimes £5 and that sometimes they are included in the initial charge, and sometimes not. Charges then increased to £140 for contacting the DVLA a second time, and sending out a final demand, now using red ink, and of course, incurring all the huge costs associated with using that colour. 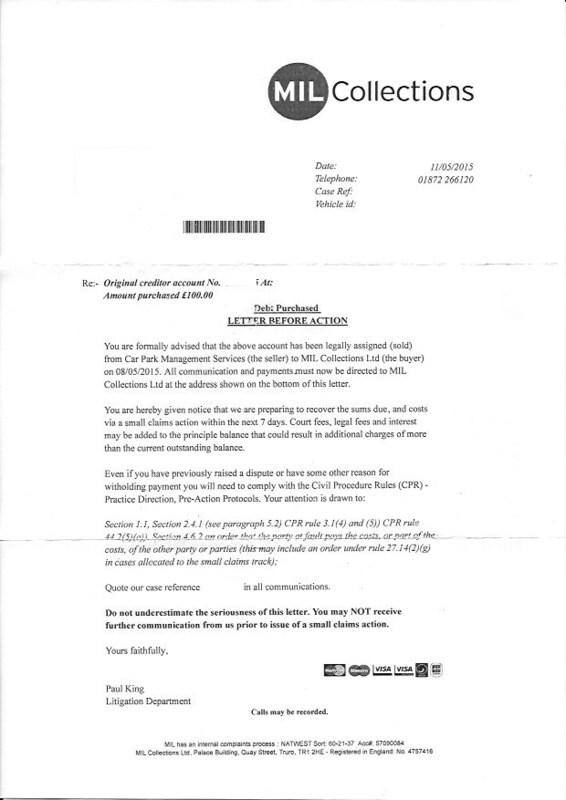 The next letter kept the costs at £140 but threatened to use a debt collection agency who would seek a court order. The debt collection agency is Pat Crossley, who also works for ANPR Ltd. They sent a fake court claim, where the costs had morphed once again. The £40 has now changed to Debt Recovery; contacting the DVLA, invoice production and correspondence to Administration of DVLA application, reminders AND Debt Recovery. Pre-litigation costs have decreased from £70 to £35 but this presumably due the the £35 court fee. The actual claim jumped in an unknown way from £175 to £355. You may have noticed ANPR Ltd trying to pull a sneaky fast one, in that this comes to £390, and not £355. If the judge did not notice, they could then add on filing fee of £35 and hearing fee of £25. Correspondence has jumped from £40 to £140 and has been split into two categories, and the admin fee to prepare a claim has jumped from £35 to £100. Neither are normally allowable costs in the small claims track. The setting of charges at £100 implies an invented figure, not a real one. 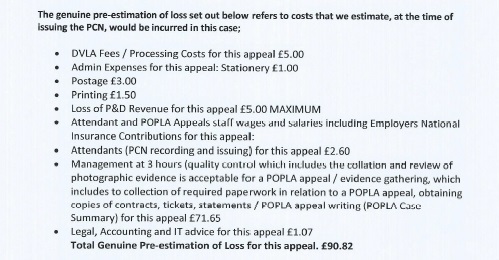 The POPLA fee was of course not incurred, and value of the legal consultancy seems designed to produce a round figure, adding up to £50 together with POPLA. It is worth noting that as ANPR admit they applied for keeper details on day 28, they were one day early, and so keeper liability does not in any case apply...not that it ever would anyway in an ANPR Ltd case - they have neve been known to bother with producing a POFA 2012 compliant NTK. ANPR Ltd had a bumper day in court yesterday, with 6 cases in Preston and one in Birmingham. Mr Trevor Whitehouse and his representative were present at Preston. It is not known who if anyone was present in Birmingham. The Prankster has been informed of 6 of the judgments - the others are unknown. One case arose as the result of parking in a disabled bay. The defendant did not produce sufficient evidence that one of the passengers was disabled (she was too ill to attend) and the case was awarded to ANPR Ltd. The judge awarded them £7.50 for trespass and £20 costs. This was substantially less than the amount asked for which was £355 for trespass and £35 for costs, so Trevor has asked for leave to appeal regarding the amount. ANPR Ltd also claimed they had used Expedion to try and mediate. The defendant replied Expedion were a debt collection agency who had sent court papers for Northampton County Court in order to make them believe they had applied to court. The Judge said this was an illegal practice to which Trevor then admitted there had been other complaints about this so they were no longer using Expedion. Of the other cases 1 was dismissed and 3 adjourned. The Prankster has no further details on these. The corruption scandal continues at the Independent Parking Committee. More reports of apparent false evidence submitted to the Independent Appeals Service have surfaced. In this report on pepippo a motorist claims Vehicle Control Services fabricated false evidence to win an IPC appeal. 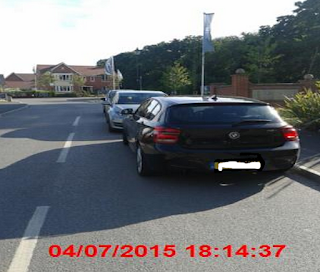 The car park in question was an Aldi site and had no white lines until a few months after the ticket was issued. The ticket was issued for being in a restricted area. The motorist alleges that the parking company fabricated evidence by submitting a ticket with a written note on the back stating they were not parked between the white lines. However the motorists original copy of the ticket does not have this writing. Additionally the warden claims the motorist returned to their vehicle and refused the ticket. The motorist states this is not true. The motorist reported the fabricated evidence to the IPC who washed their hands of the affair with a template reply they use in these circumstances. The Independent Appeals Service (IAS) is unable to interfere with the decisions made by the Adjudicator, as this would compromise the independence of the service. Once a decision has been made, the decision is final and cannot be altered. It is now a matter for you and the operator, please contact them for further information. If you wish to contest the charge further, you should seek legal advice, if you need a solicitor please visit the Law Society website. Unfortunately the IAS will be unable to provide any further information as the appeal has been completed and closed. I should add that the IAS appeal decision is not binding on The Motorist. You always have the option to contest the case in Court should VCS opt to issue proceedings. The Prankster can confirm that Vehicle Control Services have sent false evidence to previous IAS appeals. Despite this John Davies and Will Hurley, directors of the IPC, refuse to investigate this apparent fraudulent behaviour of their operators. Should VCS choose to issue proceedings then The Prankster notes that many IPC operators use Gladstones Solicitors to issue proceedings on their behalf. Gladstones Solicitors has two directors, John Davies and Will Hurley. There does appear to be a clear conflict of interest if the IPC refuse to investigate allegations of corruption, and the directors then financially benefit should the operator use their solicitor firm to issue proceedings. It should also be noted that the ability to comment on evidence is a requirement for ADR Entities. For some reason the IAS was granted ADR Entity status even though they did not meet this requirement. This case illustrates why this protection is necessary for consumer protection, and how the ADR Entity status can potentially be abused if this protection is missing. For completeness, The Prankster quotes another IAS ruling, this time from moneysavingexpert. The appeal was sent in by the vehicle keeper who was not the driver. The keeper was required to electronically sign a statement of truth confirming this. Despite this the IAS assessor chose not to believe them. The Appellant claims they have evidence they were not the driver but they have failed to provide the same. The case of Elliot v Loake is clear that in the absence of sufficient evidence to the contrary the keeper is assumed to be the driver. If the motorists are to be believed in these two cases it appears that the assessors will swallow any old guff from the parking company, while not believing a statement of truth from the motorist. This ruling is also particularly worrying as the assessor states that Elliot v Loake provides that the keeper is the driver without evidence to the contrary. The Prankster asserts that no properly qualified assessor would make this basic mistake. In Elliot v Loake all the evidence pointed to the fact that the owner was the driver; the car was forensically placed at the crash site and the owner stated he was the only driver and had the keys with him all night. The owner denied the car was at the crash site and that he had driven it. Having found that he lied with the first statement, he was also found to have lied with the second. 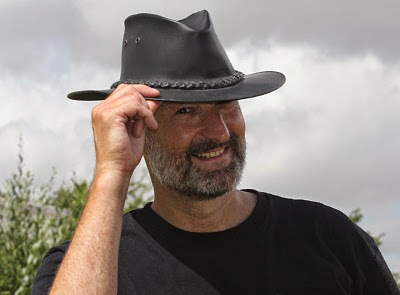 The Prankster asserts that no properly qualified independent assessor would use Elliot v Loake in a situation where there is no evidence to suggest the keeper is lying and no evidence submitted by the operator that the keeper was the driver . In this particular case all the submitted evidence is that the keeper was not the driver - what more evidence would the assessor want than a signed statement from the keeper? The Prankster believes that the Chartered Trading Standards Institute should remove ADR Entity status from the IAS until statutory requirements for ADR Entity certification are met. The Prankster also backs the BPA call for a single appeals body and a single code of practice. 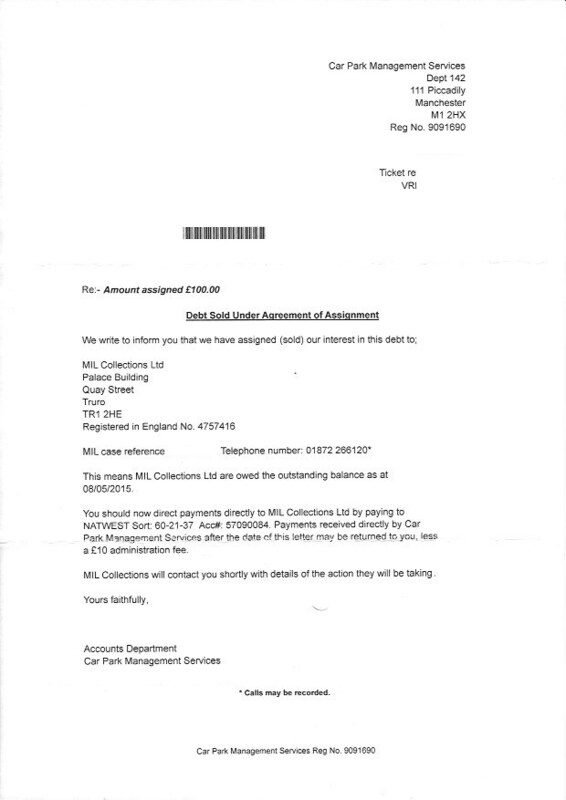 The Devon Parking Agency scam has been shut down following research by members on moneysavingexpert and investigative journalism by Plymouth Herald reporter Carl Eve. The full report on the Plymouth Herald is here. The man behind the scam was a Plymouth man in his twenties with a troubled past. He claimed friends in the parking industry gave him the idea and that he now regrets his actions. The company for which his friends work has not been named. The man has turned himself voluntarily into the police and has shut down his website. He stated he issued about 5 tickets but cannot remember where they were issued. The Prankster suggests the man should shut down his other sites as well. Congratulations to all involved who brought down this scan in double quick time. 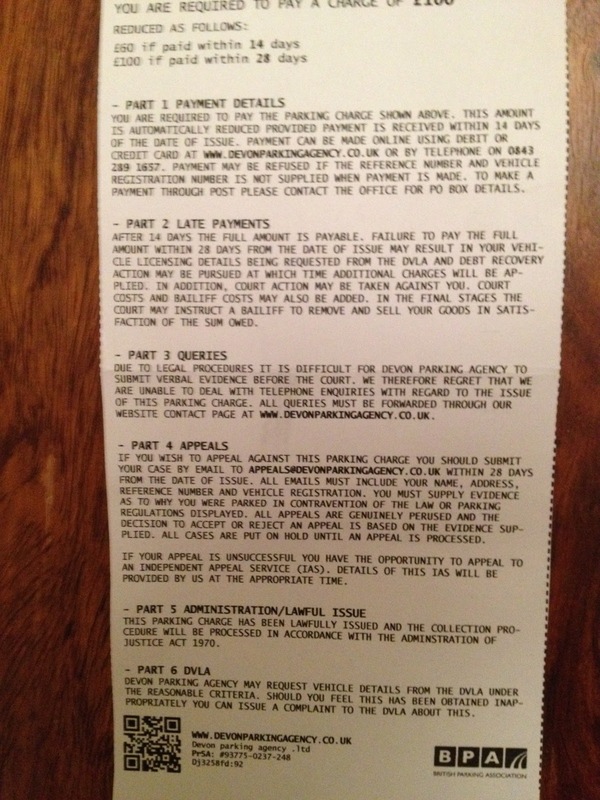 According to a post on moneysavingexpert, parking tickets are being issuing in Devon on the public highway by an agency apparently called Devon Parking Agency Ltd. However, the parking tickets do not contain a company number and the company cannot be detected at Companies House. The company uses the BPA logo but is not listed on their website. 6.2. Enforcement LegalityAll PCNs or Enforcement Payments issued by DPA are requests ONLY and do not hold a legal requirement to be paid. Any payment by the Client(s) are at the Client(s) discretion. Devon Parking Agencies website ensures the Client(s) should read all Terms and Conditions provided before using any service provided by DPA including, but not limited to, the payment gateway used to pay any PCN or Enforcement Action. If Client(s) do not read the Terms and Conditions before using any DPA service, DPA cannot take any responsibility for loss of monies because of this. Monies paid by any other method provided by DPA are also covered by these terms of service. The PCN or Parking Charge Notice issued by DPA is NOT a Penalty Charge Notice issued by a council nor a notice issued by the police and does NOT hold the same legal enforcement standards. The Client(s) agree that any payment to Devon Parking Agency is classed as a donation to the company instead of a legal required payment. Perhaps Aiden will be able to shed some light on this 'company'? In the meantime, as all tickets are requests only, The Prankster suggests that any motorist receiving a ticket does not pay it but files it away as evidence if the police become interested. The Prankster suggests they also contact trading standards. They can also contact the BPA to inform them their logo is being apparently misused.